John Thomas Dodson has been asking questions about how the arts can be used in building communities. Currently Music Director of the Birmingham Bloomfield Symphony Orchestra, Lexington Bach Festival And and Conciertos de la Villa de Santo Domingo, he has been involved in redesigning the model of the American orchestra. He is passionate about serving as a catalyst for placing the orchestra as a vibrant center of modern life. 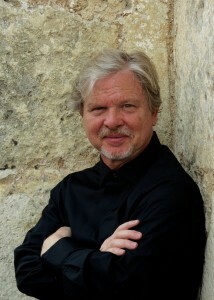 John Thomas Dodson co-founded Conciertos de la Villa de Santo Domingo in 2010. It has become an annual music festival in the capital of the Dominican Republic that supports the ongoing revitalization of the Colonial City, a UNESCO World Heritage Site. Its concerts, community events and educational activities are held in numerous historic sites of what was originally called the “Village of Santo Domingo”. During this annual festival, Dodson conducts Orchestra Camerata Colonial. In the United States he serves as Music Director of the Birmingham Bloomfield Symphony Orchestra, leading concerts across a wide area north of Metropolitan Detroit. He also serves as music director of the Lexington Bach Festival located on Lake Huron in the Village of Lexington. The festival is devoted to music by Johann Sebastian Bach and composers influenced by his work. 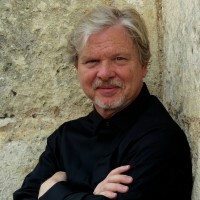 In addition to his conducting activities as a music director, Mr. Dodson appears as a guest conductor with international orchestras including the Athens State Orchestra, Budapest Philharmonic, National Symphony Orchestra of the Dominican Republic, Bialystok Philharmonic, and the Symphony Orchestra UANL in Monterrey, Mexico. He has made numerous tours of Russia conducting the National Philharmonic of Russia, National Symphony Orchestra of Bashkortostan, Irkutzk Symphony Orchestra, and the Omsk State Academic Symphony Orchestra. At home in the fields of ballet and opera, Dodson conducted numerous performances with Ballet Theatre of Toledo, and recently led the New Haven Symphony Orchestra in Puccini’s Suor Angelica in the orchestra’s first collaboration with Yale Opera. From 2001 to 2015 Dodson served the music director of the Adrian Symphony Orchestra. His tenure included collaborations with a remarkable array of soloists, a broad expansion of the orchestra’s education offerings, the introduction of new concert formats and venues while offering innovating programming that ranged from a complete Beethoven Cycle in critical editions to programs exploring jazz and the Swing Band Era. Dodson’s time with the ASO drew national attention through coverage of the orchestra’s community engagement programs and funding models in Symphony Magazine, Salon.com, and the Chronicle of Philanthropy as well as the League of American Orchestra’s National Conferences and its Essentials for Orchestra Management Seminar. John Thomas Dodson holds a master of music degree in orchestral conducting from the Peabody Conservatory in Baltimore, Maryland, where he studied under renowned conducting pedagogue Frederik Prausnitz. He continued his conducting studies with Paul Vermel at the Aspen Music School, studied composition with Robert Jager and was mentored in strings by Ed Meyer, father of bass virtuoso and composer Edgar Meyer. Dodson received the 2008 Lenawee Arts Award from the Croswell Opera House. He was given the Ross Newsom Award for Outstanding Teaching in 2009 by Adrian College where he taught from 2001-2013. At the conclusion of his tenure with the Adrian Symphony Orchestra, a resolution recognizing his achievements with the organization was entered in the U.S. Congressional Record, and he was honored by the city and county commissions and by the State of Michigan for his contributions to the cultural life of the region.